Discussion in 'POTW Collaboration' started by Serebii, Feb 3, 2019. It's time for the next Pokémon, and this week we have a doozey! Appliance. Plasma. Pokédex. Pokémon. Rotom is all of these things and more. Ever since showing up in Gen IV, Rotom has always been of interest on the competitive scene, especially when it diversified typings in Gen V. Rotom is found in nearly all tiers of play and thus is a consistent fact that you will have to deal with at any tier of play. Bulky Rain Sweeper Wash Rotom. This set is meant to setup rain for Rotom's Teammates as well as leverage it for itself. Despite Rotom Wash's unimpressive base SATK, STAB Thunder and Rain Boosted STAB Hydro Pump have enough base power to be noticeable. Last move is up to preference. Will-o-Wisp and Pain Split help Rotom Wash stay in, either by sabotaging Physical Sweeper's offense or healing Rotom Wash. Defog is great utility for the team, while Volt Switch enables Rotom Wash to pivot into another sweeper more easily. EVs are to maximize bulk (and is assuming Will-o-Wisp is being used. Otherwise, you may want to tweak the EVs to make Rotom Wash more bulky on the Physical side). Nature is for bulk or offense, depending on you're preference. 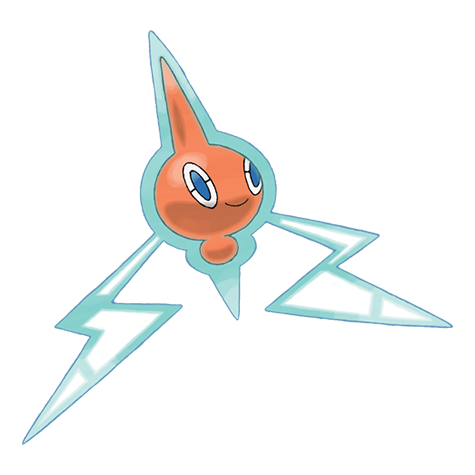 Rotom Wash is the most popular of the Rotom forms, possessing only one uncommon weakness, synergizing well with Rain Dance and possessing the varied support movepool that all Rotom forms have. Rotom Wash was does have difficulty with Grass types like Tapu Bulu, Tangrowth, and Kartana all of whom resist Rotom Wash's STAB moves and do severe damage with their own STAB Grass attacks, but none of them like being burned by Will-o-Wisp. Gastrodon is immune to both of Rotom-Wash's STABs and can't be worn down by Will-o-Wisp due to recover. However, the most Gastrodon can do in turn is Toxic stall Rotom-Wash.
Dragon types also resist both of Rotom Wash's STABs and can severely damage Rotom Wash with their natural power and STAB moves. Kyurem-Black, Kommo-o and Hydreigon stand out here. Rotom is a cool Pokemon, and unique too! It's much better since gen 5 since that gen gave it the real typings of its 5 forms (Gen 4 was wrong and bads for it, plus it did,nt allow its forme to compete in the battle fraotnier, and even erasing the special moves it could get, especially when you gave them PP uP, a very rare item in game... that was REALLY bad!) However since gen 5, this has been fixed! Ooof! So don't use Rotom's forms in GEN 4, use it on Gen 5 or higher! - Wash Rotom is cool in itself, as Electric/Water with levitate is good and shares that with Lanturn, as said up, it can make good use of Rain. Hydro Pump is really good, and don't have SP.Atk recoil reduction. - Frost Rotom is cool in itself, as Electric/Ice with levitate is unique and interesting, and it should alaways be used, or considarated, in a Hail Team, coz Blizzard says it all! plus electric and ice is very good offensively! I used one recetnly, so I know! plus give it Will-O-Wisp, and with the hail, it can wear down foes gradually! 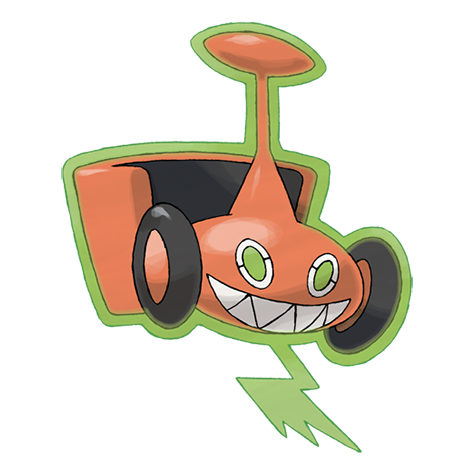 - Lawnmower Rotom is cool in itself, as Electric/Grass with levitate is unique and interesting. Leaf Strom is great, but the recoil is not. also grass end electric is good too, and ui beleive it covers all for neutral, since electric dos nothing against ground types, leaf sotrm strikes them hard for super-effective damage! - Heat Rotom is cool in itself, as Electric/Fire with levitate is unique and interesting, and it removes a 4x weakness, which is REALLY great! Overheat is strong too, but the recoil is not! It can counter Steel-type for super-effectives damages! - Finally, Fan Rotom is the worst of all, as Electric/Flying with levitate is a REAL joke and not unique at all, coz Zapdos and Emolga exists, and are much better! Plus, Eelectross, wich has levitate and thus not hit by ground type-move, has no weakness, is also better! Also, Air Slash is not the strongest move too. So never use Fan Rotom, unless you have a Skill Swap team and want one of your partner to swap its ability for Levitate, so it won't remove Fan Rotom's immunity to Ground! Even then, it is really situationnal! - Oh yes, there is Pokedex Rotom too, no real type, and it can be usefull te replace tour Pokedex, and make you a friend who can talk with you, but I believe it can battle at all! plus, it is only obtainable in Sun and Moon (Gen 7 games), so that's it! It's funny too, as seen in the anime! 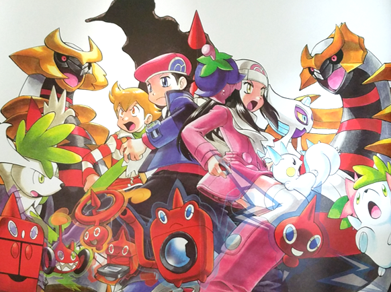 Alright, so we already know that Rotom Wash is the best form and that the Fan and Frost forms are the worst. Could we at least try to create sets for the other 3 forms? Background Information - The Robot-Anime loving Pokemon to the modern Pokemon Snap! One of Rotom's earliest well-known appearances since it's forms made a debut in Pokemon Platinum was that it befriended and joined none other than everyone's favorite food-loving mellow Diamond or Dia in short. One of the things that helped formed their bond is their love of Robot Anime, Rotom utilizing it's ghostly plasma abilities to create illusions based off on an robot anime it saw in the TV it was possessing. Interestingly enough, in some translations, Rotom is labeled as a legendary Pokemon. This is interesting for the fact that there was actually a time the majority of the Pokemon fanbase thought Rotom was originally a legendary for having many traits of one. However Rotom's most famous appearance is undoubtedly not as a Pokemon battler but as the Pokedex itself in the SM generation and by extension the closest thing Pokemon fans got to a new Pokemon Snap game. You either loved Rotomdex or hated it when Rotom-dex would repeatedly tell you advice you don't need. Rotom - Kick logic to the curb! As our robot-anime loving friend implies, this is to go against all reason to make arguably the weakest Rotom at his strongest! Unless you think Rotom Ice fits that area. 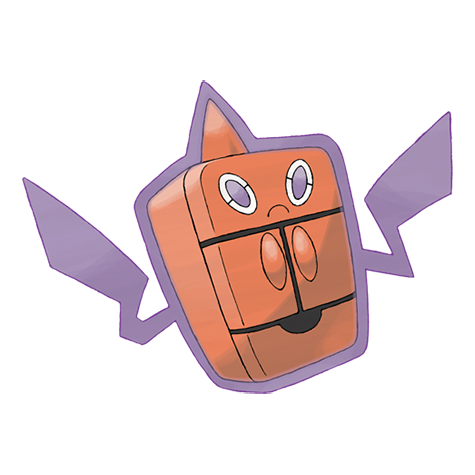 Rotom has the lowest stats but still sports some advantages such as three types of immunities. If you want to use the original Rotom and Smogon says "NO", I say do what the Gurren Lagann anime says, kick the logic to the curb and just use the Pokemon to it's best abilities! Rotom Fan - This fan is my soul! So the classic Foul Play/Swagger set would work well with Rotom Fan thanks to his access to also Air Slash, a flinching move and thunder wave. 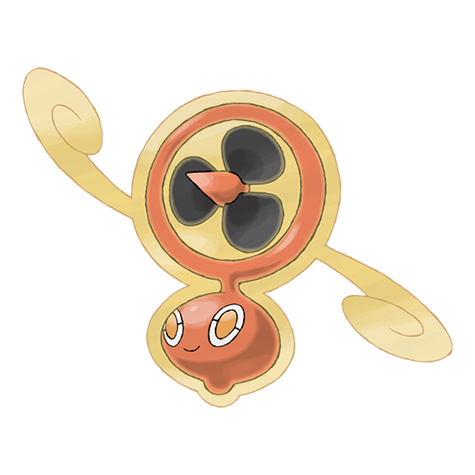 With this Rotom Fan is dangerous to many Special Attackers and those who try to set up with Swords Dance You can also try para-flinching if your feeling risky but I wouldn't recommend it. Rotom Frost - This refrigerator will be the refrigerator to freeze the heavens! FULL POWER! Pretty simple to understand. Also you got protect for scouting purposes, Rotom Frost being perfect for this since he's an ice-type which has multiple weaknesses. Rotom Heat - A real oven never gives up! Even when it stops working! As the name implies, Focus Sash Rotom Heat is a popular choice especially considering the risks Rotom Heat carries with Overheat which suits well with Volt Switch. This might actually be one of the few Rotom sets where Volt Switch is absolutely recommended over Thunderbolt in fact. Hidden Power Ice is also a good moveset to enable Rotom Heat to extend it's type-coverage and protect also serves as a good scouting optino for Rotom Heat. Rotom Mow - Let's see you grit those mower blades! Not as good as Rotom Heat but still just as deadly! Rotom Wash - Don't believe in the hydro pump! Believe in the trainer who believes in the hydro pump! I just freaking love these over-the-top Gurren Lagaan quotes lol. Anyways, Rotom Wash is arguably the best of the Rotom forms having the most versatility and customization for different efficient roles. 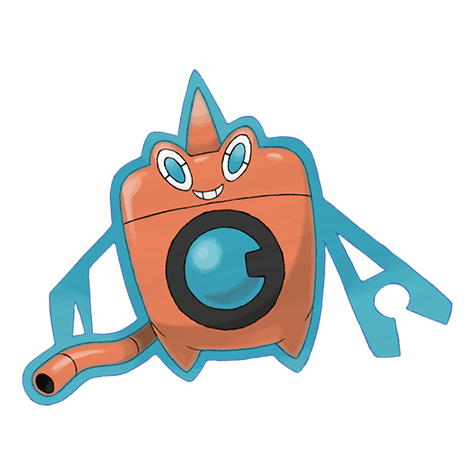 Having the least weaknesses and the water STAB of Hydro Pump makes Rotom Wash one of the more dangerous tankier Rotom variants around. 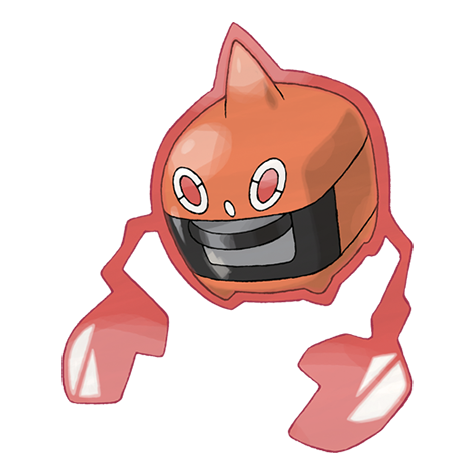 One of Rotom's earliest well-known appearances since it's forms made a debut in Pokemon Platinum was that it befriended and joined none other than everyone's favorite food-loving mellow Diamond or Dia in short. One of the things that helped formed their bond is their love of Robot Anime, Rotom utilizing it's ghostly plasma abilities to create illusions based off on an anime it saw in the TV it was possessing. Interestingly enough, in some translations, Rotom is labeled as a legendary Pokemon. This is interesting for the fact that there was actually a time the majority of the Pokemon fanbase thought Rotom was originally a legendary for having many traits of one. 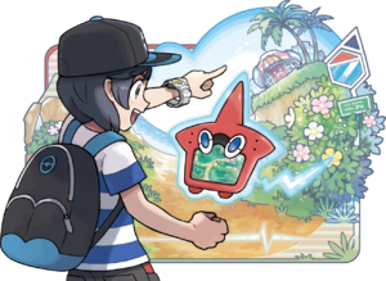 However Rotom's most famous appearance is undoubtedly not as a Pokemon battler but as the Pokedex itself in the SM generation. You either loved the idea or hated it when Rotom-dex would repeatedly tell you advice you don't need. Damn it, you made my day with this post. Later buddy.